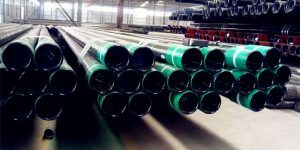 API 5L Grade B welded steel line pipe is the most popular grade line pipe for the pipeline systems applied at the petroleum and natural gas industries. 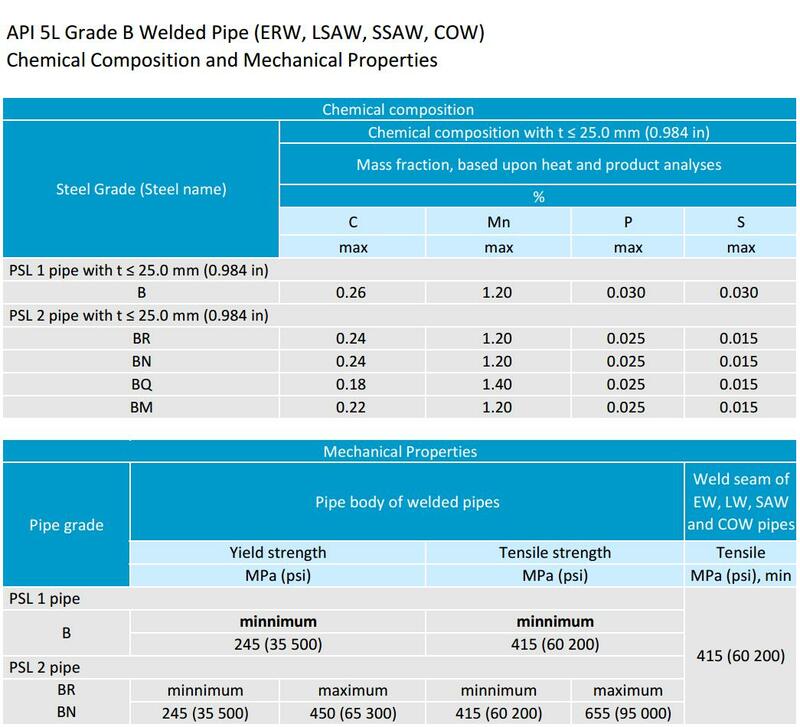 The advantage than seamless pipes is welded type has more options of diameters, thickness and manufacturing processes. 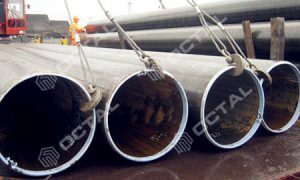 Furthermore, because of the manufacturing processes, API 5L B welded line pipe has less cost than seamless. 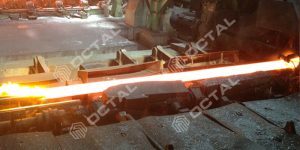 Same with API 5L Gr. 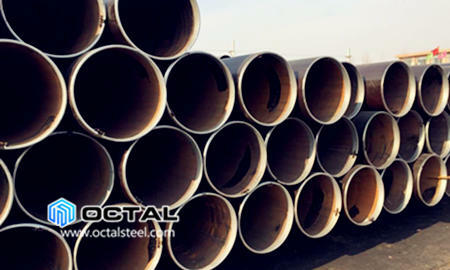 B seamless pipe, the welded type also have PSL 1 and PSL 2 two product specification level. 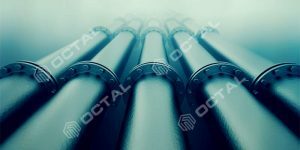 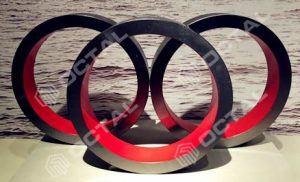 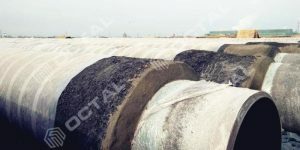 The different is in welded type of API 5L B line pipe, it has more strictly requirements for the pipe chemical composition, and carbon equivalent content, (Ceq value). 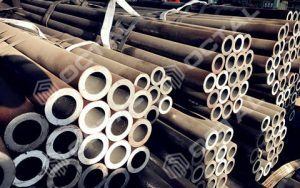 So to guarantee the performances of the PSL 2 welded steel line pipe have sufficient personality in the sever working conditions. 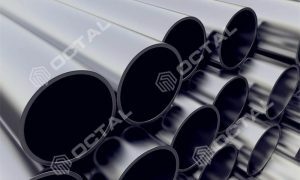 API 5L B welded steel line pipe Chemical compositions: C max 0.26% (for seamless C max is 0.28%), Mn max at 1.20%, P max at 0.030%, S max at 0.030%. 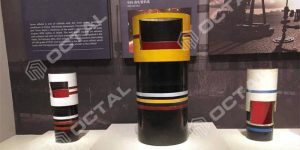 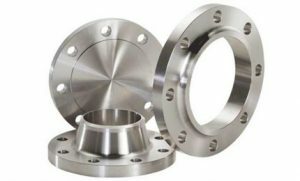 Mechanical strength yield strength min 245 Mpa, 35500 Psi; Minimum Tensile strength 415 Mpa, 60200 Psi. 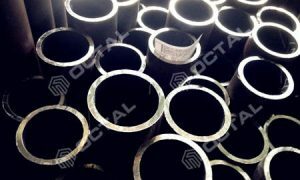 Same with API 5L B seamless pipe. 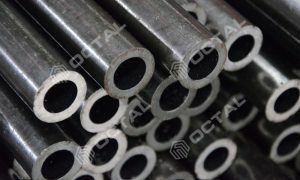 Stock available for common sizes from 4” to 30” for API 5L B welded steel pipe in ERW and SAW. 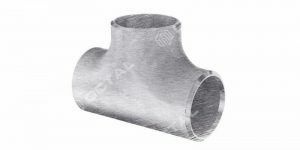 The resource belongs to the product API 5L Welded Steel Pipe Click permalink to view detail & more descripton.